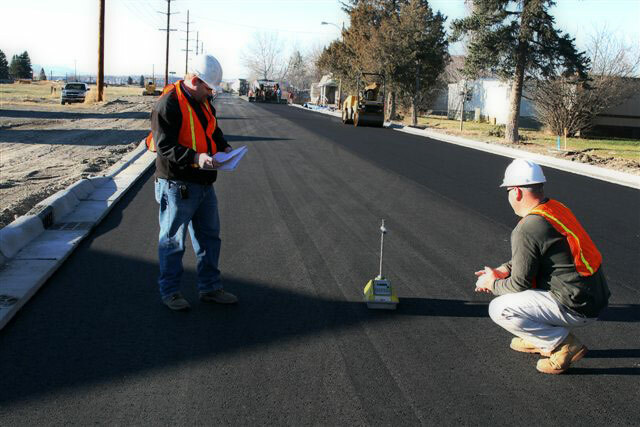 Construction Management, Quality Control, and Inspection are a big part of the services that Gaston Engineering & Surveying provides. Construction Management is a very important element to the successful completion of any project. Proper management benefits the owner, the municipality, the engineer, and the contractor. Gaston Engineering & Surveying, P.C. has trained and skilled staff that can provide comprehensive construction management and inspections for Commercial, Residential, and Municipal projects. As the construction manager for your project, we will function as the owner’s representative during the construction period, and provide the go-between for the contractor and the reviewing authority. Gaston Engineering has extensive knowledge of the local, state, and federal regulations required for construction and will perform inspections to verify that the work is proceeding in accordance with the Contract documents and required specifications. Gaston Engineering has certified equipment available to perform required inspections and testing per the contract documents.